The Chrysler Pacifica is the minivan your family never knew they needed until now. With a new hybrid model available, all the technology to stay connected and safety features for days, your family will be riding in style and comfort from here on out. 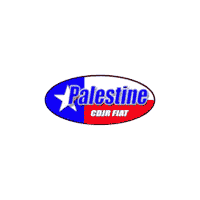 Come see the Pacifica in action at Palestine Chrysler Dodge Jeep Ram Fiat. The first plug-in hybrid minivan is here to stay. In the Chrysler Pacifica Hybrid, your minivan is powered by an electric motor and gas engine, that automatically switches between the two. The best features of the Pacifica are now available in the Hybrid model. What brings the Pacifica Hybrid to life? The lithium-ion battery that gives you optimal efficiency. Charge it in under two hours, or let the battery self-charge via regenerative braking. The battery comes with a 10-year/150,000-Mile Limited Warranty or 10-year/100,000-Mile Limited Warranty, depending on your state. It’s your turn to make an impact on the environment and here’s where you can start. Keeping your family occupied and happy on the road is no small feat, but the Pacifica has all the answers. With the Uconnect Theater, your kids will have 10.1 inches of HD touchscreens at their disposal that allow them to wirelessly stream their favorite shows, connect their gaming devices, download games and more. Your kids will be jumping for joy when you say you’re going to visit grandma and grandpa all the way in Florida. The Pacifica protects your family with safety technology that truly looks out for you. It’s also the only minivan to be named a 2017 IIHS Top Safety Pick with optional front crash prevention and specific headlights. From your new must-haves in lane assist technology to an available 360° Surround View Camera, your Pacifica will be your second pair of eyes. The four cameras are strategically placed around the Pacifica to give you a fully stitched, bird’s-eye view of what’s around you. And when it comes to parking a beast of a minivan, the ParkSense Rear Park Assist with Stop comes standard. The Pacifica also delivers in cargo capacity, giving you room to carpool up to eight of your kids’ closest friends without compromising on storage space. The Stow ‘n Go Seating and Storage System lets you slide the front seats forward with Auto Advance ‘n Return, so you can stow away road trip must-haves in the in-floor bins. Everyone will want to ride in your new Pacifica because Chrysler has made it easy to reach the third row of seats with available Easy Tilt Seating. And even though messes are inevitable with a minivan full of kids, the available Stow ‘n Vac powered by RIDGID brings the convenience of cleaning on the go, so you can tackle those oops right on cue. You’ll be the coolest parent around when you drop your kids off at school in the new Pacifica. Whether you’re ready to check out the Hybrid model or are just excited to upgrade your older minivan, Palestine Chrysler Dodge Jeep Ram Fiat is thrilled to help you design and drive away with your dream minivan.